This is a Diodon holocanthus Balloonfish in the Porcupine fishes family. He's not mad just being defensive because hes scared. 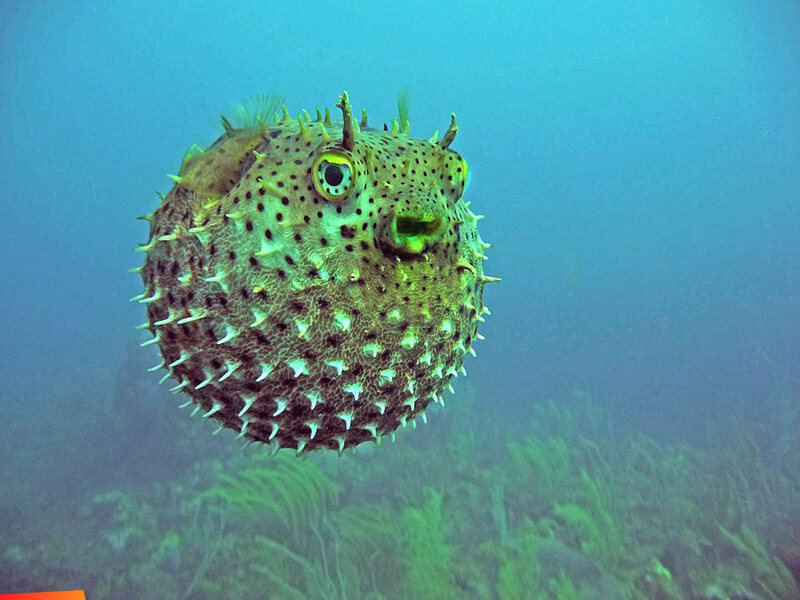 It looks like balloon and puffer are both slang names for these types of fish. It must be a British vs US thing.